Swan | Welcome To Your Pet Space! 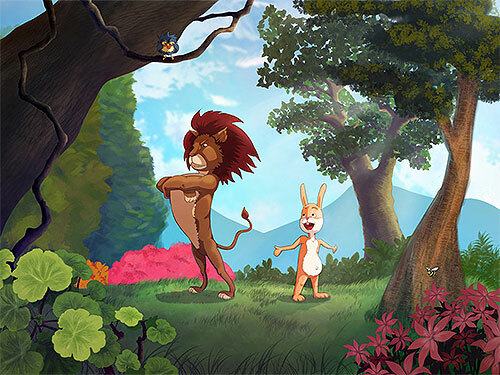 Animal fables have evergreen popularity, all over the world. Follies, foibles and sins of human beings are explored through animal characters in these stories, so that readers don’t take these tales personally. 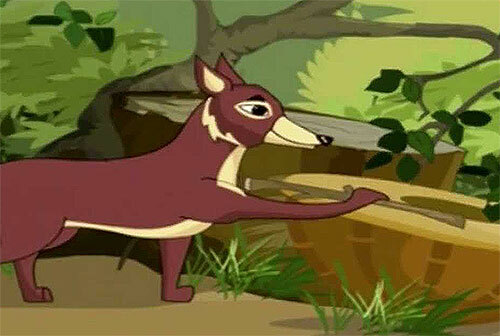 India also has its plethora of endearing animal fables, the Panchatantra being one of these volumes. 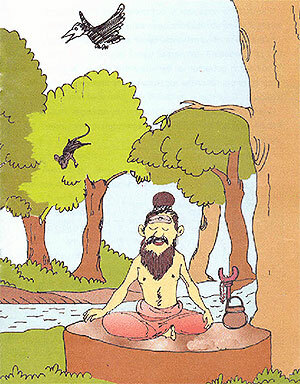 The Panchatantra can be dated back to the second century B.C. In the sixth century A.D. it was translated to Persian. Later, the stories featured in Hebrew, Greek, Latin and various other European languages. How did these stories come into being? Mahilaroopya, king of South India or of Pataliputra in Bihar had three sons who had little brains. He was at his wit’s end on as to how he’d infuse even a grain of wisdom in their bird brains. Pandit (learned scholar) Vishnu Sharma assured the king that he had thought of a unique way of teaching his sons, so that the naive lads acquired grey matter in a matter of six months. The king promised him 100 villages in return. 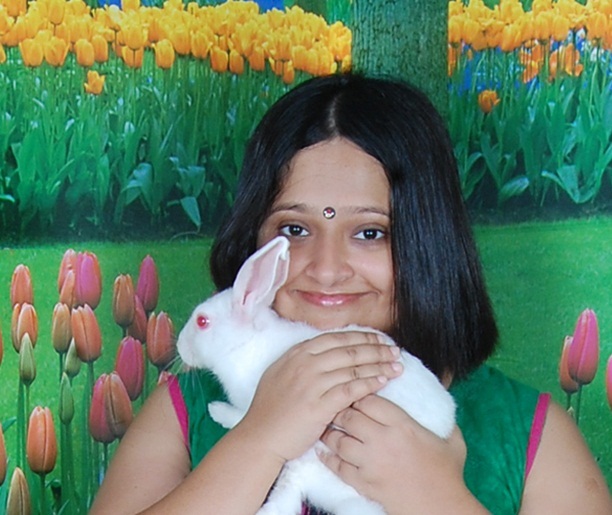 The sweet and simple Panchatantra tales were easily grasped by the princes. The moral that came with each of the tales made them conversant in topics like human relationships, astronomy, psychology, philosophy, music and politics. Some of the Panchatantra tales have very grotesque endings with animals being killed. Others are with happier endings. Animals native to India are obviously featured in the stories. Foolishness and gullibility are punished even with death in some of the stories. Common sense, wit and the ability to be composed are rewarded amply. Selfishness and betrayal are taken as grave offences. A jackal was wandering in an erstwhile battle ground in search for food. The armies who had fought a battle had left a drum there. The wind played on the drum, thereby making it beat out loud. On hearing the drum beats, the jackal first thought that humans who were playing the drum would surely bring trouble to him. His immediate instinct was that he should flee the venue. On second thought, he felt that he should investigate the source of the noise carefully, before making any hasty decision. To his relief he found that the wind was causing drum beats. Better still, he found ample food and water near the drum. Moral: Success is for the brave alone. In a royal bed, lived a flea. She lived a parasitic life consistently sucking blue blood. When she stung the king, she was however gentle and nimble, so much so the king didn’t realize that he was being bitten. One fine day a plump bug crawled on to the bed. The flea knew well that the bug had a sharp sting. She correctly anticipated that its sting would be so painful, that the king would clearly understand that he was being bitten, unless of course the king was stung when he was fast asleep. The bug promised that he’d nip the king only after he fell asleep. However, he was too impatient to wait for the king to doze off. The king ordered his servants to search for the creature which had caused him pain. The cunning bug hid himself in a nook where he could not be found, whereas the flea was unable to find a safe haven and was consequently caught and killed. Moral: You will suffer if you trust the false assurance of friends and strangers. A proud and lazy lion lived in a jungle. He announced to all the animals in the forest that every day a different animal would have to come right up to his cave. The animal would serve as a source of food to him. He threatened that if even one day was skipped, he would devour all the animals of the forest. A hare thought of an ingenious plan to outwit the lion. He arrived at the lion’s dwelling albeit late. The lion question him in an infuriated manner as to why he had arrived late. The hare lied that he had been chased by another lion. The lion who wanted to be the monarch of the jungle alone, wanted to meet this lion to put him in his place. The hare concocted a story that the lion lived in a well. The lion looked into the well and mistook his reflection for another lion. He pounced into the well, thinking he was attacking the lion. He drowned to death in the process. Moral: Physical prowess may be defeated by wisdom alone. A man who was wandering by himself in the forest came across a pit in which a monkey, tiger, snake and man were trapped. The tiger and snake pleaded to the man to be pulled out from the cliff. They assured him that they wouldn’t kill him if rescued, and stuck to their promise. He helped the monkey to get out of the pit as well. He then helped out the man despite being warned that he was up to no good. Whereas the animals on being rescued vowed to help the man when he was in need, the man he rescued selfishly said that as he was a goldsmith, the man should remember him if he required any handicraft on gold. When the hungry man could find nothing to eat in the jungle, he went to the monkey’s home who offered him plentiful sweet fruits and promised to give him more of them whenever he wanted to eat. The tiger gifted him an expensive necklace which belonged to a prince who had died in the forest. The man took it to the goldsmith, hoping that he’d help him to sell the necklace. The goldsmith instantly recognized the necklace as belonging to the prince. He had after all worked on the ornament. He went right up to the king and complained that the man who had killed his son had given this to him. The innocent man was consequently captured. The snake thought of working together to save the man. The snake bit the queen in such a manner that only the man’s touch would neutralize the venom. Assured that the man actually had a good heart, he asked him as to how he had found the gold. As credibility had already been built up, the king believed his story. He put the goldsmith behind bars. He rewarded the man with 1000 villages and made him the privy counsellor. Moral: Man despite being supposedly superior to animals may at times be more bestial than them. A turtle and two swans were close buddies. Their home was a lake. When the lake began to dry, the swans decided to fly the turtle to a safe haven. 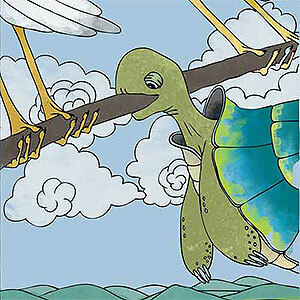 They asked the turtle to grip a stick firmly with his teeth as they flew him to a lake brimming with water. They cautioned him not to open his mouth during the flight. As the swans flew over a town with the turtle, the town folks pointed upwards and animatedly discussed the bewildering sight they saw. The turtle open his mouth to ask what the commotion down below was all about. He fell down. The town people roasted him for supper. Moral: Heed the wise counsel of good friends. Fishermen chanced upon a pond which was teeming with fishes. They discussed amongst themselves that they would come the next day to the pond to lower their nets. Three fishes overheard them speaking. Two of the fishes took this very seriously. They decided to escape to a safer pond with their families immediately. The third fish took this very casually. He decided to stay on in the pond as he refused to believe that the fishermen really meant what they said. The fishes in the lake were divided into groups. One group fled to safety through an outlet which led to a secure lake. The other fishes lingered on in the hazardous pond. The next day the fishermen caught each and every fish that remained in the lake. Moral: When you sense danger, act instantly. Mice inhabited a deserted village. A herd of elephants would frequent the village to bathe and drink water. Unfortunately, many of the mice were trampled to death by the footfalls of the elephants. The king of mice entreated the elephants to change their route so that the lives of the mice were spared. The mouse king promised the elephants that the mice would surely return this favor if the elephants complied. Though the elephants could hardly believe that creatures as tiny could help them, they changed their tracks. Later the elephants were trapped in nets laid by an elephant hunter. They struggled to free themselves. The mice cut the nets into shreds by their razor sharp teeth, thereby freeing the elephants. Moral: Don’t underestimate anyone on the basis of appearance. A monkey would inhabit a tree where he would devour the delicious berries which grew on its branches. A crocodile came out of the water to rest under the tree. 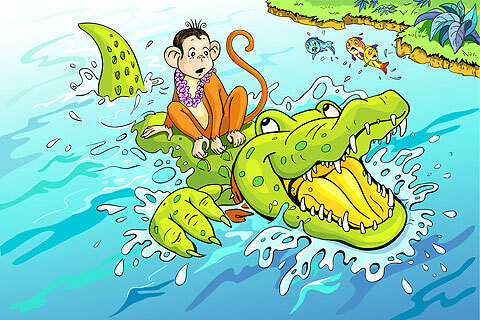 The monkey treated the crocodile as his guest and graciously offered him fruits. The two animals formed a rapport. The crocodile came regularly to eat the tasty fruits. He took some of the fruits for his spouse. The crocodile’s wife felt that if indeed the fruits the monkey would eat were so sweet, his heart would be extremely saccharine to taste. She suggested that her husband killed the monkey and they devoured his heart. The crocodile lied to the monkey that his wife had invited him to dinner. He carried him on his back through the river. While in the middle of the river from where the monkey couldn’t physically escape, the crocodile told him his true intentions. The monkey composedly lied that he had kept his heart in the trunk of the tree he lived in. On returning to the river bank, the monkey hopped on to a spot away from the reach of the slimy crocodile and told him that they ceased to be friends. Moral: Avail of wit to get out of tricky situations. A mongoose and a human woman gave birth on the same day. The mongoose died in child birth leaving a baby. The woman adopted the infant mongoose. She nurtured him as her own son. She fed both the mongoose and her own child breast milk. She bathed both of them and massaged them with oil. The mongoose and her baby boy grew as close as siblings. The woman was however sceptical that as the mongoose would grow older, animal instincts would overpower him and maybe he would harm the child. She left her baby boy in the care of her husband, while she went to fetch water. Her careless husband however left the house before she returned. The lady knew that her husband was absent minded, so she was returning to her home tensed. She was shocked to see the mongoose outside the house with blood smeared on his face. She panicked thinking that the mongoose had killed the child. She threw the pitcher on the poor animal thereby killing it. When she went to the child’s room, she found him safe and sound. Beside his crib lay a snake in pieces. The mongoose had killed the snake which had attacked her baby. The blood on his face was of that of the dead snake. The mongoose had saved the life of the baby whom he regarded as his dear brother. The woman and her husband deeply mourned the death of the mongoose, as they had regarded him as their son. Moral: Don’t act in haste. A mouse slipped the grasp of a hawk and fell in the proximity of a wise sage. The sage with his magical powers transformed the mouse into a little girl, for he knew that if she remained a mouse the hawk would try to snack on it again. He taught the girl wise teachings and when she came of age, he decided to find the best ever groom for her. He first asked the sun god to marry her. The girl however thought that the sun was too fiery tempered. Her father asked her if she’d marry the rain god instead, but she could simply associate him with darkness and dampness. Her father then suggested the wind god. She however regarded him as finicky as the wind always changed its direction. When the sage then put forward the idea that she married the mountain god, she dismissed it saying that mountains were too resolute as they were rooted to one place. The sage smiled and asked her if she would marry a mouse, his daughter found the idea brilliant. Her father then turned her into a mouse, she wedded a mouse and lived happily ever after. Moral: What you are born with won’t change. All pictures in this article courtesy of www.kidsgen.com.